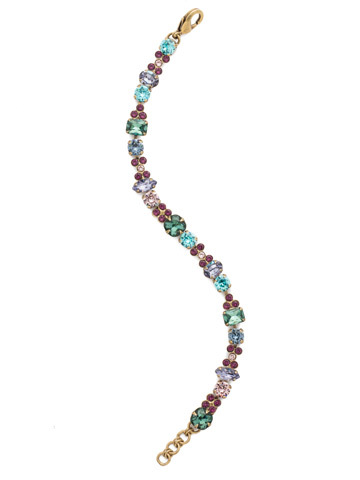 You'll feel quite lucky when you slip on this classic clover bracelet. Exquisitely crafted with emerald, cushion and marquise cut gemstones and accented with diamond cut crystal clovers. Truly a menagerie of brilliant beauty.